Dr. Phil Wilby and his team were thrilled to find the famed Victorian dig site in Wiltshire that had been lost for nearly 170 years. 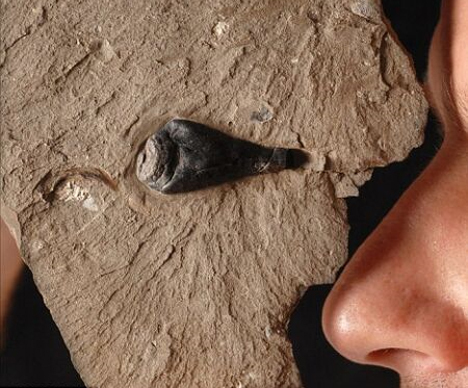 But when they dug in and examined an ordinary-looking rock, they found something they never expected: a perfectly preserved, 150 million-year-old ink sac. 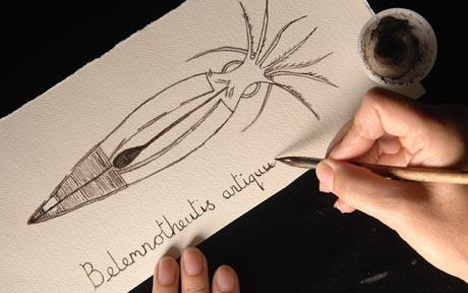 The ink inside was so well preserved that they were able to take a small amount of it, combine it with an ammonia solution, and make an ink with which they drew the creature’s portrait and wrote its Latin name: Belemnotheutis antiquus. 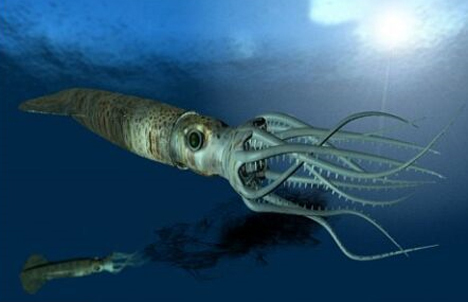 The squid-like creatures died in droves in the area of the dig site approximately 155 million years ago. The entire site was a treasure trove of the remarkably intact sea creatures. The site was previously discovered in the 1840s when the Great Western Railway was being constructed, but it was somehow lost until August of 2009. Dr. Wilby and his team had been searching for it for two years. The location was so sought after because it contained thousands of extremely rare examples of the Jurassic fossils with their soft tissues intact. Above is an artist’s conception of what the Belemnotheutis antiquus may have looked like. Normally only the hard parts of animals are fossilized, like bones and shells. But when conditions are just right, the soft tissues (like the inch-long ink sac pictured above) can be mineralized and preserved so well that, even millions of years later, they can be examined as though they died only recently. Only a handful of sites in the entire world feature mineralized soft tissues from such ancient specimens, making the Wiltshire site a very exciting find. Sadly, you won’t be able to buy Jurassic squid pens anytime soon: the researchers aren’t planning to use any more of the ink for artistic purposes. See more in New Materials or under Science. October, 2009.